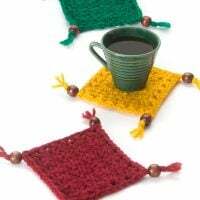 Get ready for company with these 10 pretty popular crochet coaster patterns! 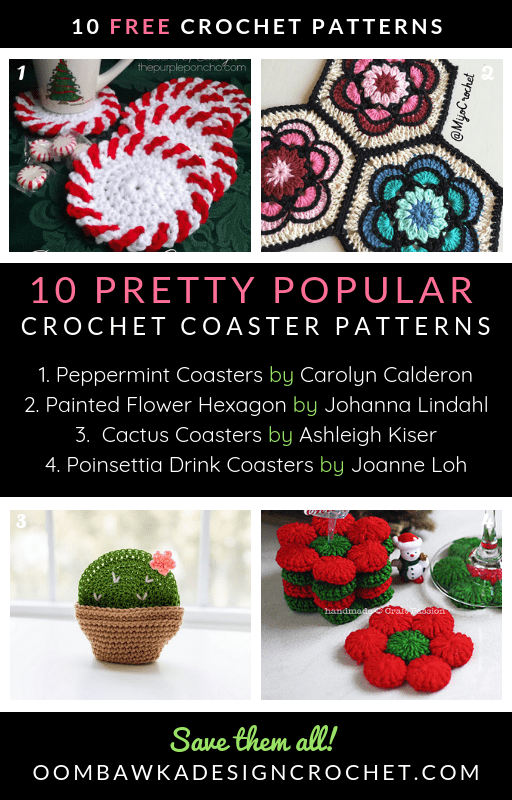 This free crochet pattern roundup includes coaster patterns for the holidays, modern decor and on-trend cactus coasters to make and give as pretty gifts. 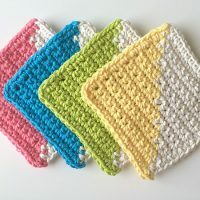 You will find beginner friendly pattern options listed too. 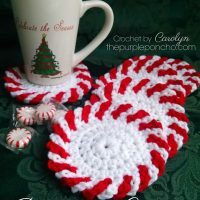 One of my favorite patterns included in this roundup are the Peppermint Coasters by Carolyn from the Purple Poncho. 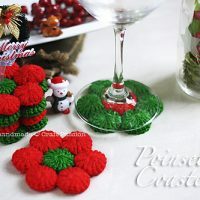 She has included a video tutorial to show you how to make the unique edging she used for her coasters. You won’t believe how easy it is! Check out her video below. 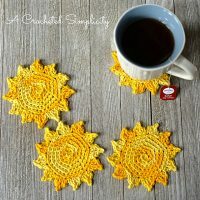 A great beginner crochet pattern, these coasters are pretty and functional. They will make great gifts! Bright and full of sunshine, these coasters will help brighten up our winter tabletops! Company's coming! Grab your Coffee Coasters and enjoy a much needed cuppa with your friends! Make these on-trend Cactus Coasters for your home or gift them! 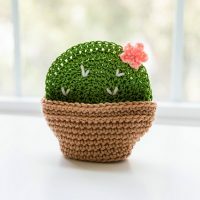 They will make a great housewarming or hostess gift! 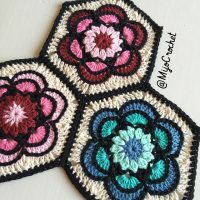 Crochet these stunning hexagon Painted Flowers as coasters! Quick and easy project made with yo-yo puffs. Coasters are approximately 3 inches in diameter. 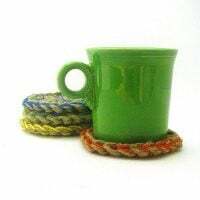 Use one strand of Jute and one strand of yarn and make these coasters quickly! 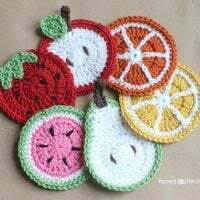 Make these five fruit flavored coasters! Patterns included for Strawberry, Apple, Orange/Lemon, Pear, Watermelon. 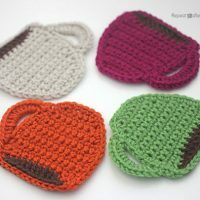 Pick the colors of the season, or your home decor and make a set of Modern Coasters to protect your tables from drink rings!